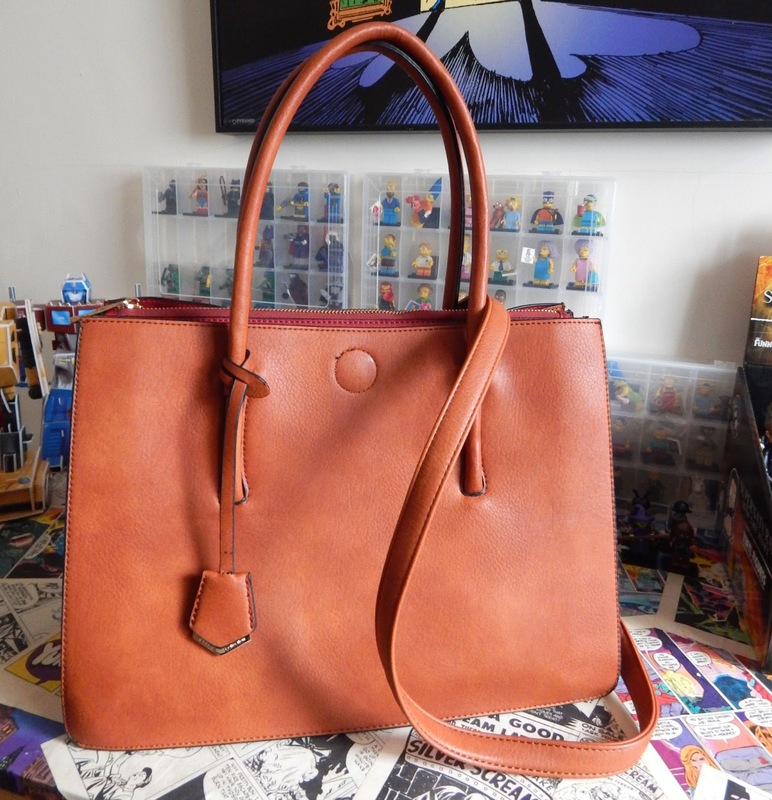 Gem's Up North : I brought a tan coloured handbag!!! I brought a tan coloured handbag!!! You may wonder why the title comes across as a shock, well that's because it is a shock. I'm not a lover of the colour brown or any colour close to it, and tan is on that list. I've been looking for a new handbag for a couple of months now but had no luck. 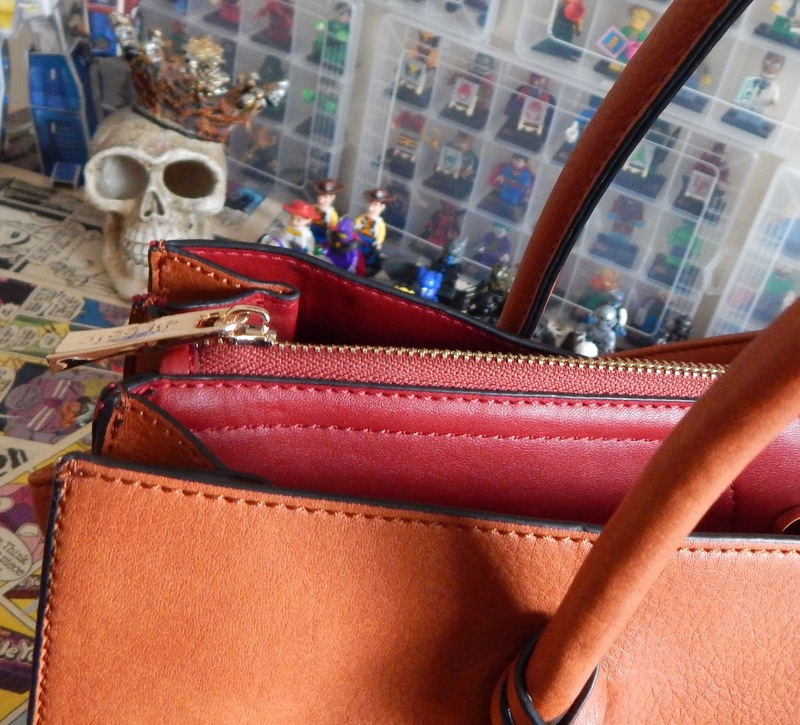 I'd been using some older bags and kept changing them every other week, when I got bored of them or they had been over used, nothing lasts forever, right? I've been struggling to find any bag that I actually liked and would be able to use everyday. Checking most stores weekly I still found nothing. On Tuesday I had a little nosey in my local TK Maxx store who seemed to have had a bag delivery, the shelves was packed full and they had lots of new styles in too. Looking at the usual colours I would go for in a bag, black, purple, grey, etc. I only found a couple of expensive bags that was completely out of my budget. As I was with my mum she was looking at other coloured bags so I went over to her and ended up spotting a tan bag that looked nice. 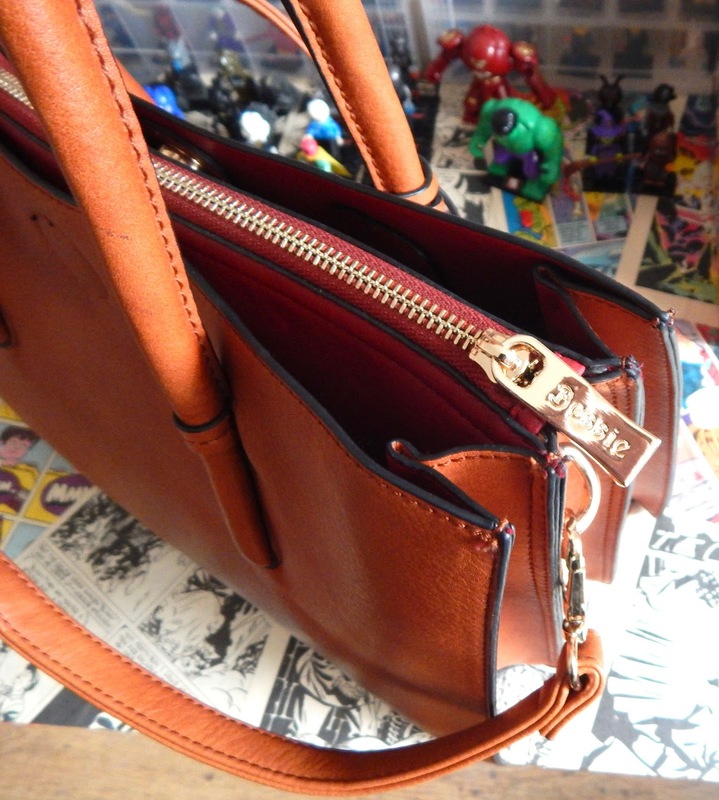 I picked it up, it was perfect in size and had 3 compartments, 1 with a zip, 2 with magnetic buttons and an across body detachable strap. 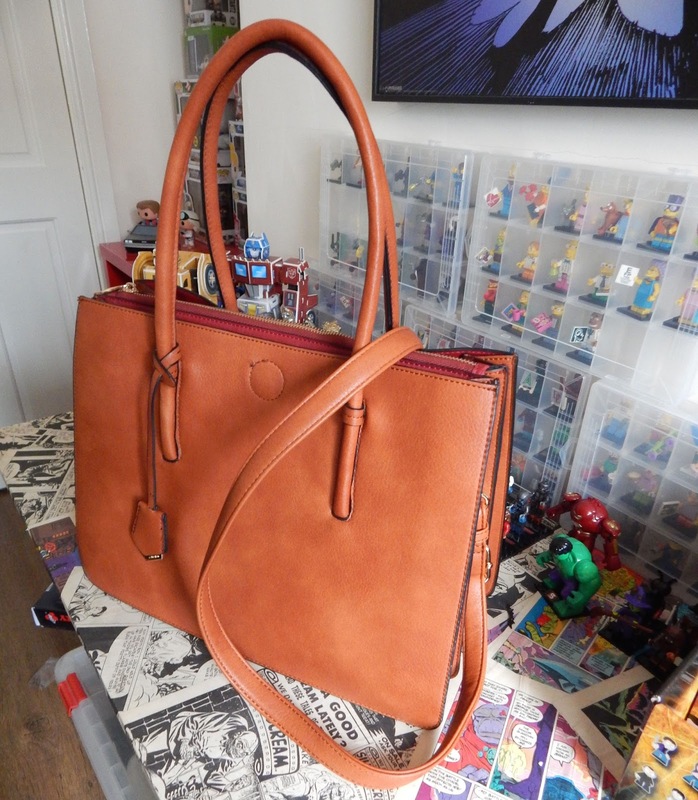 The bag is a Bessie London bag which was originally priced at £48.00 but was only £24.99 in TK Maxx, I thought sod it, I like it, I'm having it! 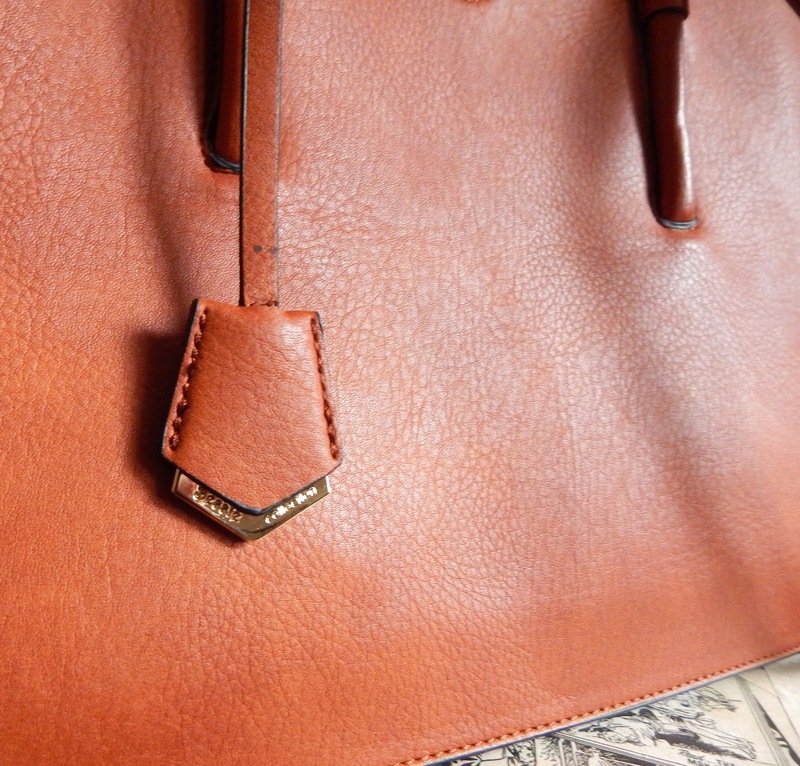 The inside of the bag is red which goes well with the tan coloured outside, the metal details are all gold which again isn't a favourite of mine as I prefer sliver but sliver wouldn't work with the tan. I've used the bag today, there's loads of room for all my necessities and much more, it was also comfortable to wear using the across body strap and actually matched everything I was wearing. I didn't think I could match a tan colour up with anything I wear but I've found that tan matches most colours especially black and purple, my favourite colours. Overall I love my new bag and love TK Maxx!